"Goebbels. 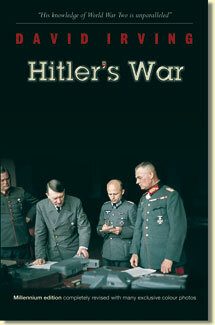 Mastermind of the Third Reich"
Back in print! 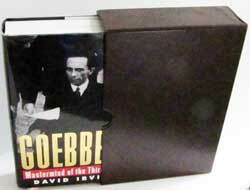 David Irving's much-sought 1996 biography of Joseph Goebbels, Hitler's propaganda chief. Out of print until now. Now reprinted in better quality than ever with many new photographs. Place your order no. Demand for this long out of print title will be massive. Click for details of regular edition. "a Rolls-Royce of a book, with costly color photos." Syndicated columnist Richard Cohen says: "Irving's Goebbels -- No Need to Be Timid"
"Anyone who wants to learn about the political acts of one of this century's most able and most dangerous men, should remember that what they are reading is one brilliant propagandist writing about another." HISTORIAN DAVID IRVING was the first to open and make use of the 80,000 pages of the Goebbels diaries - diaries on microfiches that lay boxed (right) and unrecognized for fifty years in the Red Army's "Trophy" archives in Moscow. From this extraordinary trove, to which Irving has added six years' research into the archives of the Western World, he has written the first full-scale biography of Adolf Hitler's confidant and evil genius, Dr. Joseph Goebbels. The narrative accompanies Goebbels as an impoverished student to Heidelberg, where he wins the university's most beautiful female student; belying the legends that he later nurtures, he remains sexually immature until his early thirties, as he throws himself into winning Berlin and then all of Germany for Hitler's rising Nazi movement. In the late thirties, a Czech actress beguiles him, bringing him to the brink of suicide. In a frenzy bordering on delirium he tokes revenge on Germany's Jews, igniting the Night of Broken Glass in November 1938; later, he hounds them out of Berlin and goads Hitler on toward the Final Solution. Here for the first time are Goebbels's secret, unpublished writings on the Reichstag Fire, the Night of the Long Knives, the Dollfuss murder, the Saar plebiscite, the invasion of Prague, Pearl Harbor, and scores of other turning points in modern history. Dr. Goebbels faithfully records Hitler's innermost councils, documenting the hidden methods and strategies of Nazi leadership. As his country is finally consumed by a rain of fire and slaughter from the air, it is Goebbels whose voice exhorts the people to hold out to the end. 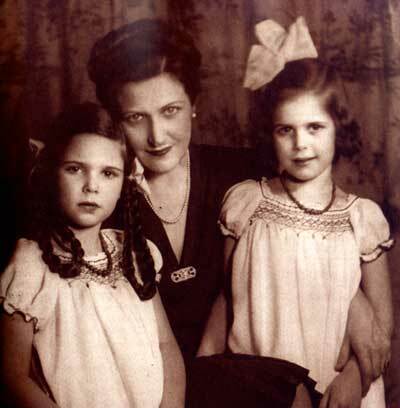 When that end comes in May 1945, he takes his wife and six children with him to the Nazi Valhalla with a callousness now revealed in full by the former Soviet archives. At every turn of this masterful account, David Irving has built up his narrative solidly on the archival record, dispelling many legends about the Third Reich that have endured in the history books until today. 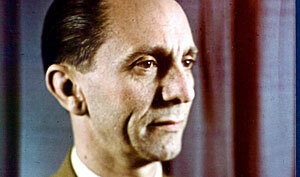 Goebbels: Mastermind of the Third Reich is a masterpiece of research, and a compelling story of monstrous evil. "David Irving is a patient researcher of unrivalled industry and success." "Irving has an extraordinary talent for digging up otherwise obscure Nazi sources. He does have a real knack of penetrating the 'mind' of Nazism." "Irving's research effort is awesome." 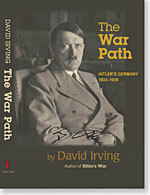 "David Irving, a remarkable researcher, a brilliant discoverer of documents, and a skilful writer, tells the story well."